You wanna know what's way harder than it looks? Painting white flowers on white paper. NOW I KNOW. There are apple blossom petals all over my desk. 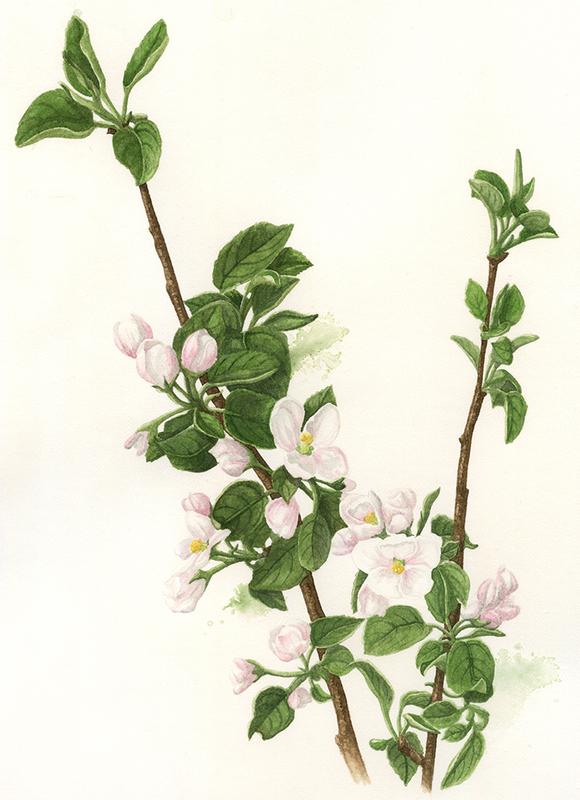 Apple blossoms do not last as long as forsythia once you cut them. Did you know that? Jay came home the other night with a huge pad of watercolour paper. The one that I always drool at but can never afford. Watercolour paper: SO MUCH MORE ROMANTIC THAN FLOWERS. Even when I am going to use it to paint flowers. Jay is so good at presents. He knocks it out of the park every time. I am so jealous of his present giving skills.